i've had terrariums on the mind these past few days. i know they've been done as bunting has been done, but i'm definitely planning to make just one and add my own touch to it for our guestbook table. hope it works out. *crosses fingers* and when i say that, i mean i'm awkwardly crossing my black thumbs. thank God terrariums are low maintenance. 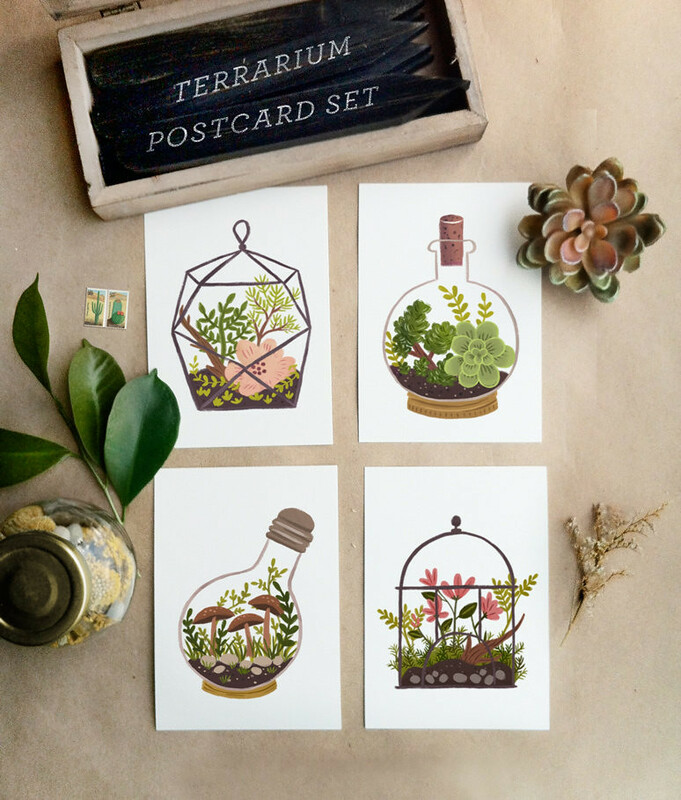 by the way... how sweet are these terrarium postcards from quill and fox on etsy?